Home > Posts > How much money does a self-service laundry generate? The location is the first success factor of your laundry. If it is located on a shopping street, in a large area or near a university campus, it will attract a lot of customers. The turnover will depend on, among other things, the area of the premises and the number of machines available. Imagine a medium size laundry (50 m2) that is open Monday to Sunday 365 days a year. Imagine also an average price of washing and drying of 8€ and an average of 12 cycles per day. Of course, this billing is theoretical; it’s a simulation. Speed Queen experts are here to make a much more accurate estimate of your billing, according to the characteristics of your project (city, area of the premises, equipment…). Your laundry will gain in visibility and notoriety over time. As a result, the number of cycles will increase as well as the income generated. Can I live off my laundry? The operation of a laundry involves costs: fixed costs (rent, Wifi, loan…) and variable costs (water, electricity, maintenance of machines, washing products…). A laundry is an excellent income supplement that leaves time for other activities. But in order to live 100% off the laundry income, we recommend our investors open several of them progressively. 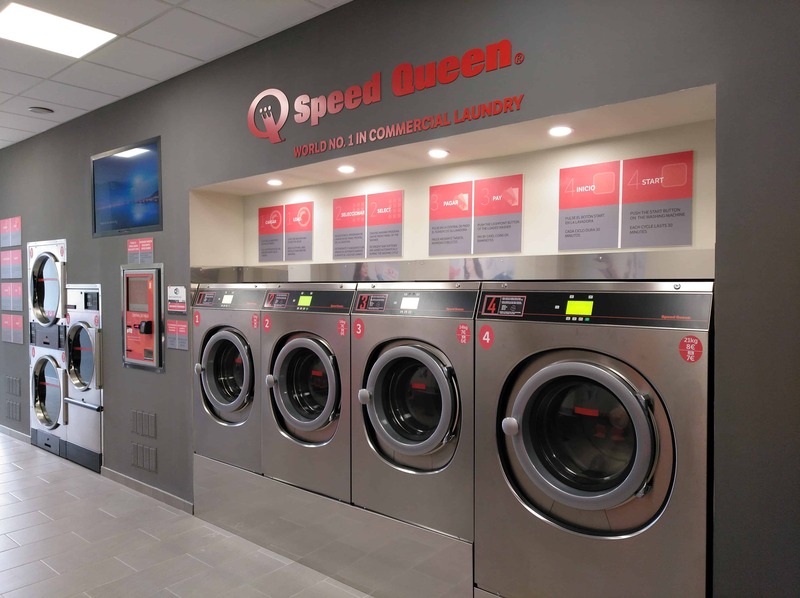 Speed Queen is the World leader of self-service laundry. Every year, dozens of investors rely on us to carry out their laundry projects. We accompany you at every stage of the process, starting with the search for the best location and the drafting of a business plan. We offer the necessary equipment and advise you in launching your activity. We propose a range of complementary services: geomarketing studio, complete marketing plan… even financing solutions. Our investors want to have their own business and want to live off it: many of them open between two and five laundromats in the same city and surroundings. Contact us to discuss your future project.